If you have not tried Lo Mai Gai (steamed glutinous rice with chicken, 糯米鸡), you are surely missing out something. Lo Mai Gai is the specialty Dim Sum of Singapore and Malaysia along with Cantonese Dim Sum like Har Gao, Shumai and Char Siu Bao popular across Asia. 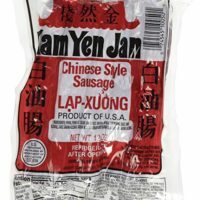 Why is this Lo Mai Gai recipe works? The amazing flavor came through beautifully with the combination the chicken, Chinese sausage, and dry shiitake mushrooms, which is the tested combination in traditional Chinese cuisine. The taste of the glutinous rice hence is unbeatable after infused with all these flavors. The best part of cooking is, it does not require to wrap with lotus leaves, and much simpler to prepared than the Hong Kong version called Lotus Rice 荷叶饭. 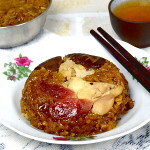 Lo Mai Gai is the transliteration of 糯米鸡 in Cantonese, which means steamed glutinous rice with chicken. 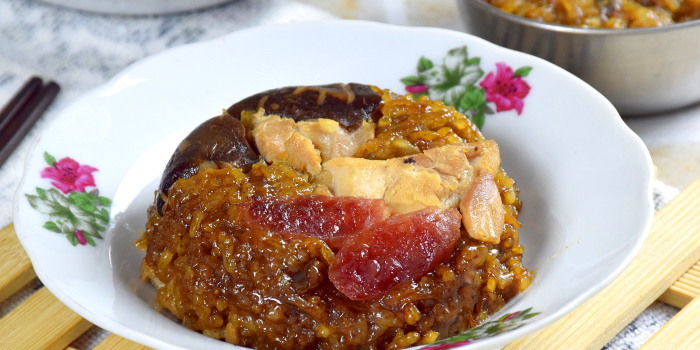 There are two variations of the glutinous rice with chicken. In Malaysia, we place the chicken, Chinese sausage, and mushroom in small steel bowls, then topped with the glutinous rice and steam. This type of Dim sum is what we called Lo Mai Gai over here. In Hong Kong, you will be served with the glutinous rice and chicken wrapped in lotus leaves. The Malaysian called this version as Lotus Leaf Rice or 荷叶饭. 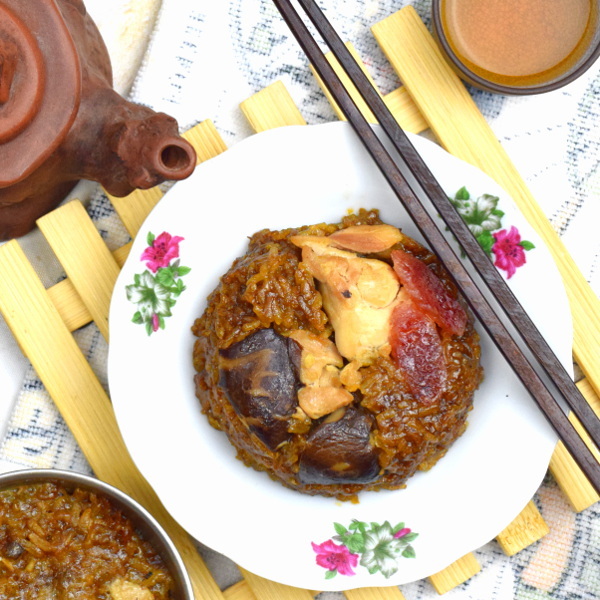 The recipe in this post is about the glutinous rice in the steel bowl, which is more popular in Malaysia and relatively easy to prepare. 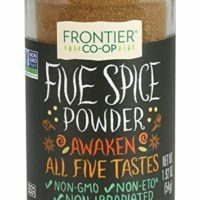 Before you jump straight to the recipe (and video) below, take a few minutes to read through the notes below. This is the detail notes on how to make the most authentic Singapore / Malaysian style Lo Mai Gai. Let me show you how to prepare Lo Mai Gai step by step. As the name goes, chicken is the main ingredients for Lo Mai Gai (sticky rice with chicken). You can leave the chicken skin on or discard it. I prefer less fat and usually discard the skin. Always use chicken thigh meat. Some people prefer to cut the chicken thigh with skin-on, bone-in. Most of the Dim Sum restaurants in Malaysia leave the bone on. Again this is your preference which will not affect the flavor of the final result. Pan fried the chicken pieces and mushrooms with the sausage oil so that the flavor of the sausage in the oil will not go to waste. 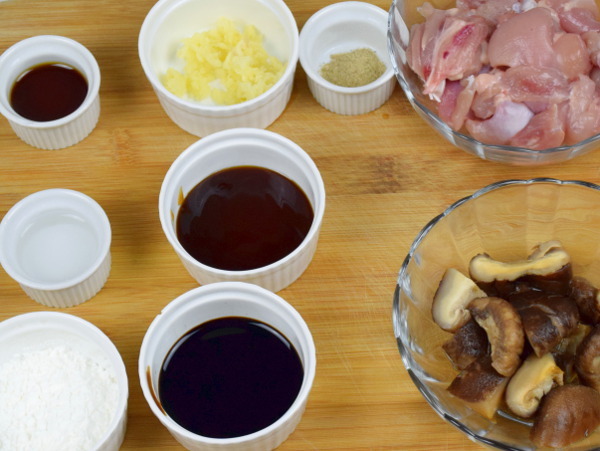 Ingredients to marinate the chicken and mushrooms. Soak the glutinous rice for at least four hours to let the rice absorb sufficient water. The rice prepares this way will be soft and tender. This method is also used in preparing biryani rice. Stir-fried the rice with the seasonings to add aroma and flavor. You may simplify this step by just marinate the rice with the seasoning for a while before steaming. Saute the shallots until it becomes translucent. Add the garlic and saute with the shallot until aromatic. Since garlic has less moisture than the shallot, the garlic may get burn if you start to saute with shallot at the same time. You can use water instead of chicken stock to cook the rice, although it may not be so flavorful. Check the salt content of the chicken stock you use. Reduce or omit the salt if necessary. Some cooks use chicken bouillon or chicken stock granule, but I prefer my chicken stock prepared from boiling the bones. Spread the rice on a large steaming tray for steaming so that it is to cook through. Most of the Dim Sum restaurants in Malaysia use the small stainless steel bowls to steam the Lo Mai Gai. 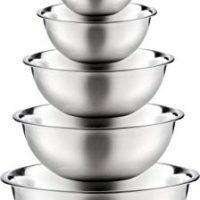 If you have difficulties to find the suitable stainless steel bowls, use any small shallow ceramic bowls or ramekins. Make sure you place the cap of the mushrooms face down in the bowls. 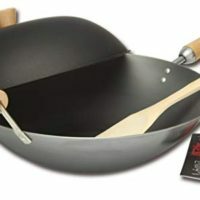 When you serve the Lo Mai Gai, the black color cap will be on top of the rice after you invert the bowl onto the plate. Run the sharp knife along the edge of the bowls to loosen the Lo Mai Gai before inverting them onto the plate. Add the remaining gravy of the stir-fried chicken and mushroom to the rice before steaming. Do not worried that it is too wet. In fact, most of the less tasty Lo Mai Gai are usually too dry. Cover the bowls with aluminum foil before steaming help to prevent the water condensed from the steam from dripping onto the rice, which can affect the taste of the rice. If you do not intend to serve it immediately, you can either chill or freeze the Lo Mai Gai. If you want to eat it on the next day, allow them to cool and chill them in the refrigerator. You can also freeze the Lo Mai Gai to keep for a longer time. Just double wrap the Lo Mai Gai and keep them frozen. When you want to serve, reheat them on the steamer over boiling water for thirty minutes, You can do this directly from the freezer. There is no need to defrost them first. Sticky rice is also called sweet rice or glutinous rice. It is all means the same thing. If you are unsure how to relate it to the shopkeeper in the Asian grocery store, just show this two Chinese characters (糯米). The amazing flavor of Lo Mai Gai came through beautifully with the combination the chicken, Chinese sausage, and dry shiitake mushrooms, which is the tested combination in traditional Chinese cuisine. Ingredients to stir-fry the glutinous rice. 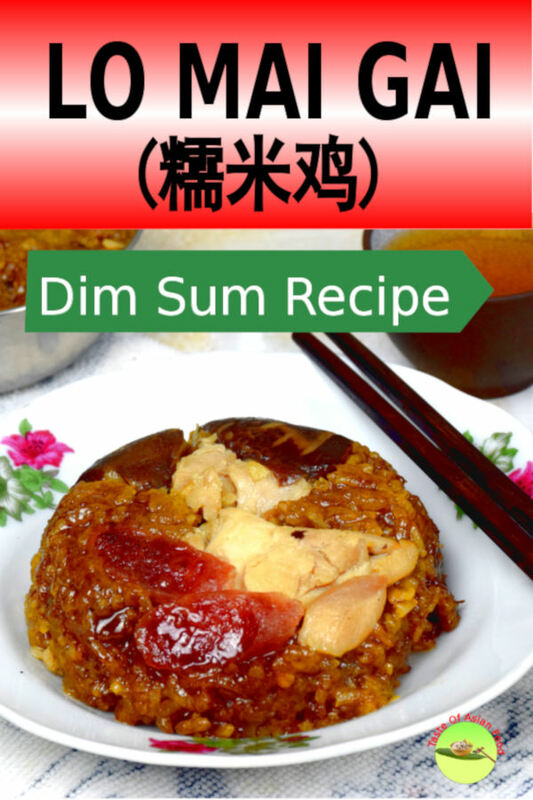 This recipe is the authentic Lo Mai Gai (Steamed sticky rice with chicken) famous in Malaysia and Singapore. Cut the deboned chicken into 12 pieces. Two pieces of chicken will be used for each Lo Mai Gai. Finely chop the ginger and extract the juice for marinating the chicken. Mix all the items in Ingredients A, and marinate for at least one hour or overnight if time is allowable. Soak one Chinese sausage in hot water for ten minutes. When you see the casing of the sausage puff up, remove the sausage from the water and discard the casing. Cut the sausage at a diagonal into 15 slices. Three slices will be used for each Lo Mai Gai. Pan-fried the sausage slice over low heat for about two minutes or until slightly brown. Remove the sausage and leave the oil rendered from the sausage in the pan. Set aside. Cleaned and soak the sticky rice for at least four hours or overnight. Heat up the vegetable oil over medium heat. Saute the chopped shallots until translucent. Add the garlic and saute until aromatic. Add the rice and stir-fry it slowly. 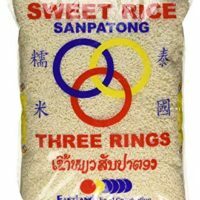 Add the remain ingredients in "To prepare the sticky rice" section. Add half a cup of water and stir fry slowly until it is nearly dry and become difficult to continue stir-frying. Add the remaining half cup of water. Turn off the heat. Stir and mix well. Transfer the rice to a steaming tray. Steam over medium heat for half an hour, covered. Add the marinated chicken and mushroom into the pan with the sausage oil. Pan-fried the chicken on both sides until it is slightly brown. Add half a cup of water and cook for another ten minutes or until the gravy thickens. Pace two pieces of the mushroom and two piece of chicken and three slices of Chinese sausages at the bottles of the bowls. 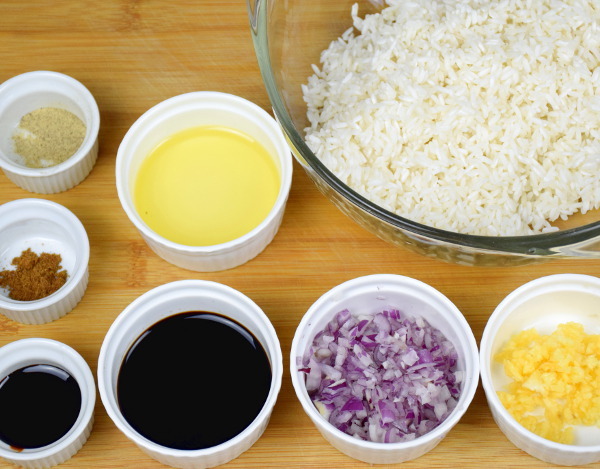 Divide the rice into six portions. Place each portion on top of the mushrooms, chicken, and sausages. Fill the bowl with rice and press it firmly with a spatula. Drizzle the remaining gravy in the pan onto the rice. Cover each bowl with aluminum foil. Steam for fifteen minutes over medium heat, covered. Invert the cooked Lo Mai Gai onto a plate. Serve. 21 replies to "How to cook to the authentic Lo Mai Gai (糯米鸡)"
Great tasty recipe. It has all the ingredients of the Loh Mai Kai that my mum, who is 90 years old now, passed down to me. Fool proof recipe. Works every time. Sometimes, when having a party, I make a bigger version by lining a 12-inch bamboo steamer with either lotus or bamboo leaves and layering rice & chicken, mushroom & Chinese sausage alternately and then steaming it. The bamboo basket goes straight onto the table. It makes quite a statement. Thanks, Kwan for recipe & for sharing and keeping good food on our minds! Happy to know that it resembles your mum’s cooking. I will certainly keep posting recipes and thank for introducing me the bamboo steamer method for Lo Mai Gai, which I will do it next time for a big party. Hi KP Kwan, I’m a Malaysian living in Sask Canada. Can I substitute or omit oyster sauce as most Canadians (that I know) don’t take seafood? What do you suggest an alternative? I miss Malaysian, true Chinese food ha ha … many thanks for your recipes! 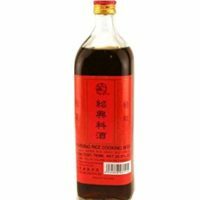 I suggest you just omit the oyster sauce and increase the amount of light soy sauce to adjust the saltiness of the Lo Mai Gai. Although you are away from home, still can cook if your miss Malaysian food. Hi Kwan, I came across your blog on lo mai gai while searching for recipe. 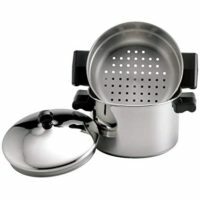 Do you think it would make any difference to the flavour if I use a metal steamer rather than a bamboo one? I do not think there is any significant difference. There isn’t any flavour/fragrance as far as the bamboo steamer I have. I made this last night. Meant for breakfast this morning, but they finished it for supper. Being vegetarian , i only ate the rice(kosong) which itself was very yummy! With the chicken, how superb would it be! I didn’t use oyster sauce because my husband has gout, so I used vegetarian oyster or mushroom sauce instead. Thank you for trying the recipe. Please make changes as you wish to suit your taste buds. Happy to know that you all like the Lo Mai Gai. I am thinking of making ahead. Do you know if this will freeze well? If yes, any tips? Yes. In fact, some Dim Sum restaurants do that too. When you want to serve, let it defrost at room temperature, then steam the Lo Mai Gai until it is hot inside. Thanks for the tip, KP! I will definitely try it out this weekend! You are welcome. All the best! Lovely..tqso muchfor this clearly shown recipe..better still u make a clear video to teach us..God bless u indeed! Thank you, Lim. Hope you will make it an enjoy the Lo Mai Gai. I am very impressed with your clear and concise presentation. Really easy to follow. Your lo mai Kai recipe is really great. I wonder if you have any record for Fan Choy? Thanks for following my lo mai gai recipe. Never try Fan Choy, but I will keep posting the recipe that I am familiar with. You included 150ml of water in the marinating the chicken section. But are we supposed to add the water into the marinade? Thank you so much for pointing out the error. The 150 ml (about half cup) of water should not be at the marinate section. It should be added after the chicken stock. Sometimes the amount of chicken stock is not enough to cook until the rice turns soft. So I add some water to cook further. (of course, you can also continue adding chicken stock. This recipe was delicious. Thank you! The video mentions 1 tablespoon of cornflour but the recipe reads 1 teaspoon. I used 2 tsp anyway and it turn out great ! Thanks for trying out the recipe. It is not very crucial of the exact amount so 2 tsp should work great. Glad to know that it turns out well.